The Role Playing Game genre (RPG) doesn't have a huge number of titles on Windows Phone, so when a new one comes along, it not only has the expectations of the gamers on the platform to satisfy, but RPG's have a long history and any new title will be measured against it. I get the feeling that Doom & Destiny is counting on that. Doom and Destiny will be familiar to some gamers, having been available on physically bigger platforms for some time. As well as a regular Windows PC title, it also has a Windows 8 version available, and can also be found as an indie title on the Xbox 360. The tag-line of "Save the princess, fetch the magic items, beat the villain, go home and eat pizza" sums up this title perfectly. As the game starts, you and your group of friends are gathering for a session of a popular role playing game (those initials of Doom & Destiny seem awfully familiar now), when the MacGuffin strikes, and you are transported away to become heroes, get the girl, and return to claim the spoils of role-playing. 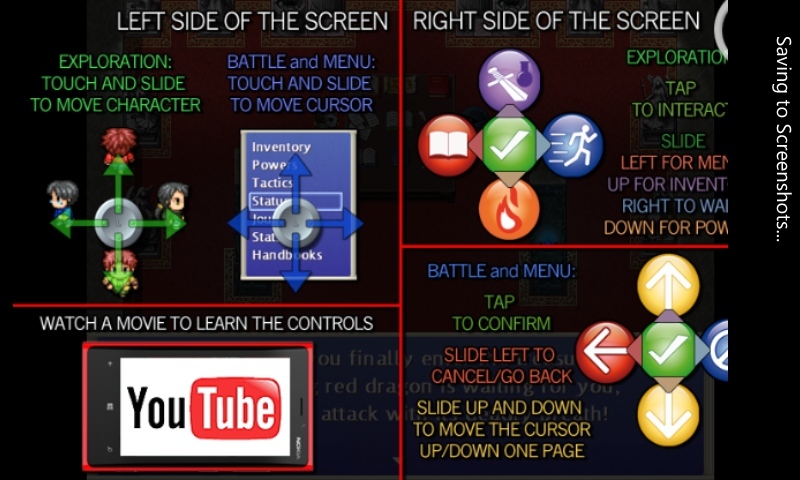 Control wise, you mentally have to assume that you have a basic game controller on your handset's touch screen, with the direction D-Pad on the left hand side of the screen and another D-pad on the right that controls all the actions and options you have. 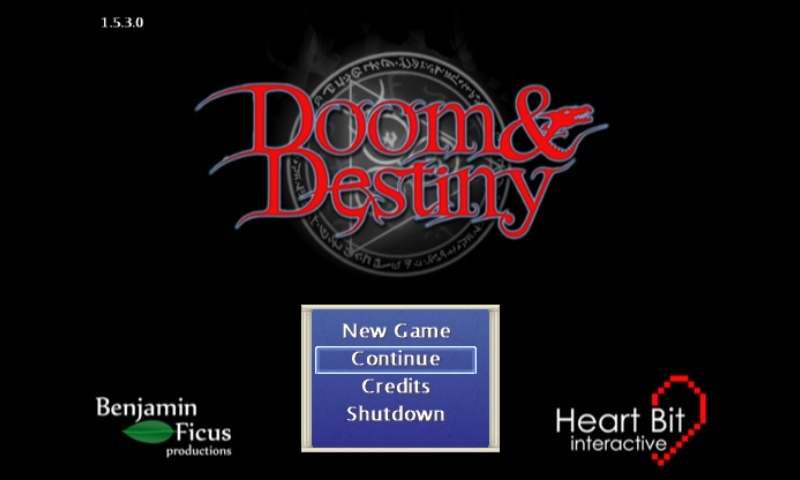 Doom & Destiny will walk you through all the control options as the game starts, and a helpful splash screen can be easily called up to show you the majority of the operations. There's no getting away from the fact that this is a clunky control system, and the conversion from a deskbound computer or home console is clear. Heartbit have done the best they can, but without designing for mobile from the start of the project they are compromised to take a similar layout to the older versions. I get the feeling that players of the game are going to forgive the control system, probably because it does feel familiar to RPG players, with movement controls mapped to countless games in the past. The same goes for the actual plot of the game. It takes enjoyment in being so utterly obvious in terms of plotting. You have to do side quests to earn status and money, to buy equipment, to do better quests, and work through the world until you reach the final goal, with lots of combat as you go about the business of adventuring. Your team of four characters can be built up equally in terms of strengths, but it's far more sensible to give each player a different role, so that you have healers, wizards, tanks, and fighters. 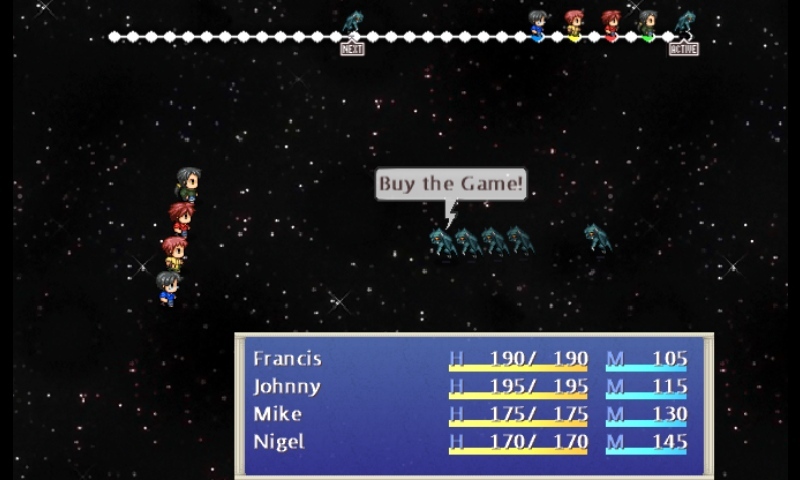 You can navigate around the (huge) gaming world as a group, but when it comes to the time to go into combat, a turn based system kicks in and you can decide each character's move as the combat progresses. It gives you time to think and work on strategies. After combat, your experience points can be allocated to improve the strengths and attributes of your characters... all standard stuff you would expect, but again done in a clear way. As a game, Doom & Destiny has understandable controls (as in when you know where they are, you act as you would expect), and it presents a solid gaming challenge. Where it excels is if you have any familiarity at all with the genre. Put simply, putting Doom & Destiny next to a Nintendo style role playing game from the Zelda series, is like putting Leslie Nielsen and 'Airplane' next to the big disaster films of the 70s such as 'Airport'. Doom & Destiny is playing this for laughs, with knowing nudge-nudge wink-winks to the format throughout the game. 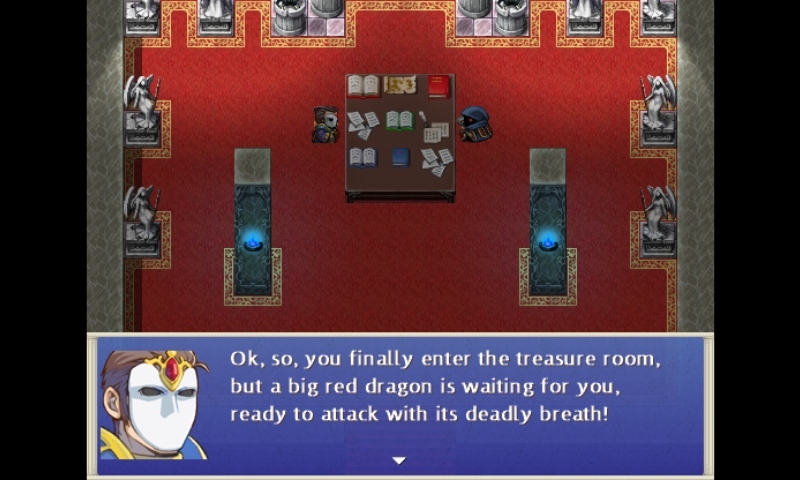 Characters that wonder why they look identical to the next character because they are using the same graphics, being invited to steal anything from a house with an open door, etc. The humour never gets in the way of the game, which is a good thing. But the quality of the game is equal to the lampooning of other titles. 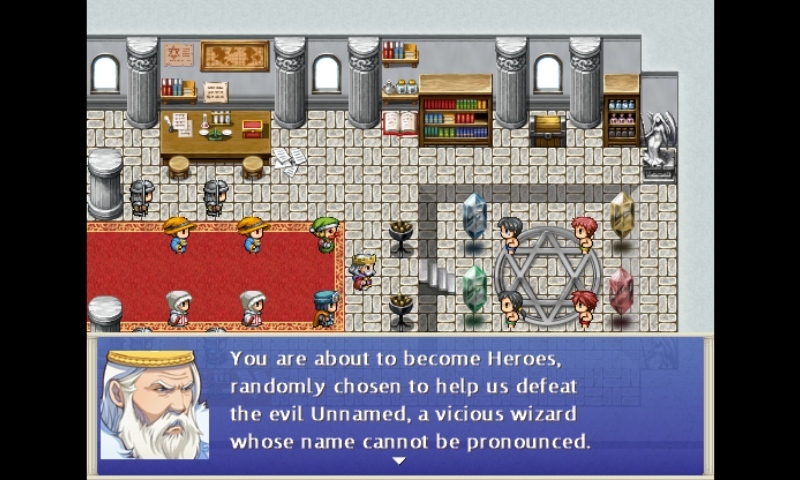 What you have here is a high quality RPG that not only knows the heritage of the genre, but uses it as an element of the script to enhance the game and drive the RPG forward in a new direction. Outside of the scripting, Doom & Destiny takes no risks with the style of gameplay. 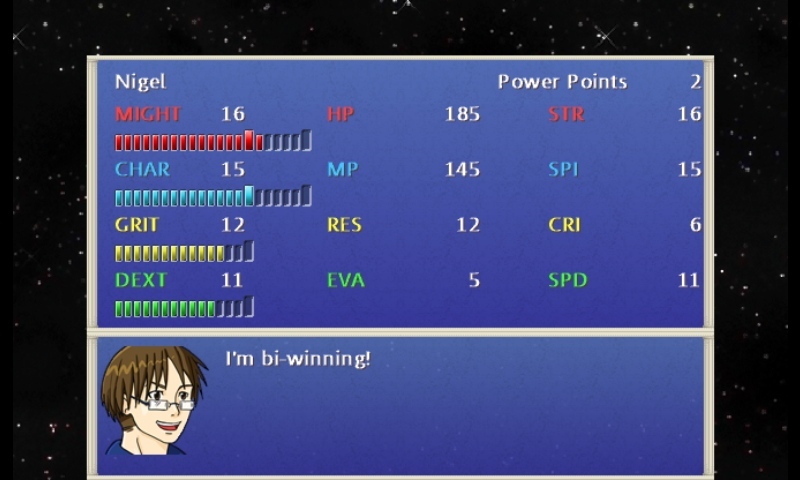 This is very much a standard user interface for an RPG. This does have benefits though, making the player comfortable in the app and allowing the inventiveness in the situations and dialogs to shine through. Everything just works, and while this is a relatively niche gaming title, for those that enjoy playing in the niche, it's an absolute classic.